Completed in April this year, 105 Phillip Street has achieved another significant milestone, becoming the 2,000th building in Australia to achieve Green Star certification from the Green Building Council of Australia (GBCA). 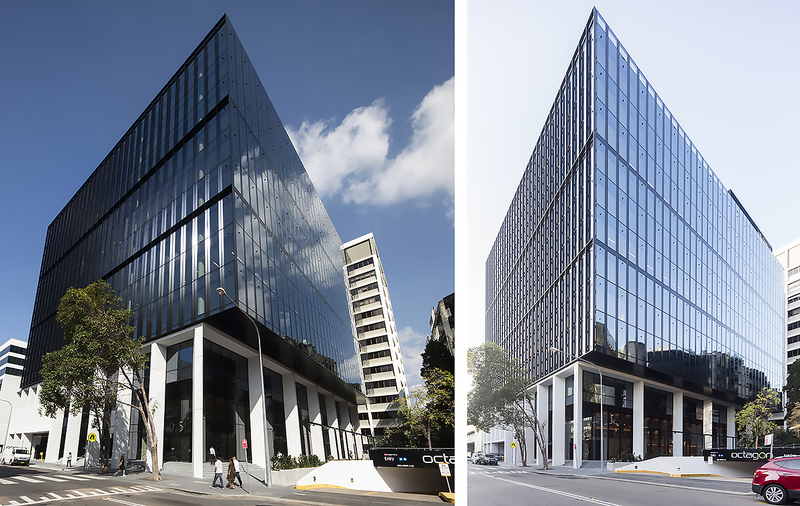 Located in Parramatta, Charter Hall’s 12-storey commercial development achieved 6 Star – Green Star – Office As Built v3, making it a benchmark in sustainable commercial buildings in Australia and world-leading in its sustainability standard. Constructed by Built, developed and managed by Dexus, 105 Phillip Street is also the first and only 6 Star Green Star building in Parramatta. Bates Smart worked closely with engineering consultancy Wood and Grieve's ESD team on the design of the 25,000 sqm commercial building. 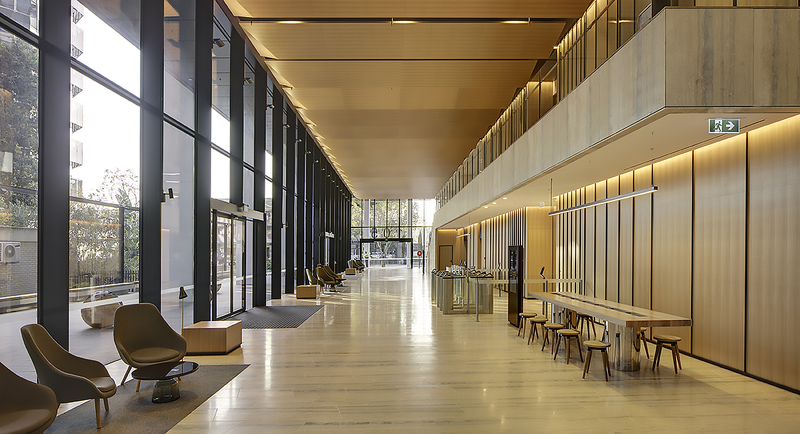 According to the GBCA, 105 Phillip Street demonstrates best-practice office design and execution, delivering a sustainable new headquarters and workplace for its tenants. It joins some of Australia’s most iconic buildings and precincts which have achieved Green Star certification, including the Sydney Opera House, Barangaroo, University of Melbourne and Curtin University, Sydney Airport and Melbourne Convention Centre. Located within a 5-10 minute walk from Parramatta's civic centre, Parramatta Transport Interchange and adjacent to the Parramatta Ferry Terminal, 105 Phillip Street excellent benefits from its accessibility to public transport and pedestrian links to the CBD. Built over an existing carpark, the building re-establishes a retail streetscape along Phillip St, enhancing the Parramatta CBD with retail and commercial functions which form an integral part of the public domain. Bates Smart has expressed the building form as two horizontal elements; a 9-storey glazed office volume articulated as three horizontal bands, and a 'podium' comprising a masonry colonnade which anchors the building and provides a human scale to the streetscape. The design of the facade responds to the building's orientation, with vertical fins projecting from the façade providing shading to the north whilst vertical spandrels reduce thermal heat loading on the east and west facades. The colonnade creates a sheltered entry and relates to the scale of the adjacent buildings along Phillip Street, complemented by the use of masonry. 105 Phillip features generous 2,000 sqm floorplates, punctured by a series of atria to the north, allowing for light penetration into the tenancy and providing inter-tenancy connections between levels. A side core has been located to the south, creating an open office floors to the north and allowing for maximum flexibility for the fitout. A landscaped roof with an extensive outdoor terrace has been provided at the top of the tower overlooking Parramatta River. The terrace has been designed around employee wellbeing, offering a tranquil retreat away from the traffic below, whilst still in the heart of the CBD. A variety of uses have been catered for, including staff events, barbecues, yoga, and sporting activities on a multipurpose sports court. We are delighted to be recognised by the Green Building Council of Australia. This is a smart building that showcases how effective design can create positive contributions to achieve environmentally sustainable outcomes, thus improving the building’s overall efficiency. Through its design, we have considered various innovations to improve the building’s overall efficiency, address water and energy conservation while encouraging its end-users to maintain a healthy and active lifestyle. Although a simple and understated design, 105 Phillip Street has achieved and exceeded many performance benchmarks for an office development. From the outset, the design to practical completion was achieved in 24 months. This is a momentous achievement and shows how the value of sustainability in our built environment continues to go from strength-to-strength as the uptake of Green Star certification grows. Certifying our 2000th project is a milestone that demonstrates the sustained momentum Green Star has achieved in less than two decades of operation. To achieve a 6-Star Green Star certification is an amazing achievement and we congratulate the team behind 105 Phillip Street. Our vision is for healthy, resilient and positive places for people and the natural environment and it is through developments like this that this goal can be reached. A Green Star rating is much more than a certificate or a logo – it showcases leadership in sustainability, creates brand value, encourages innovation, creates new revenue streams, secures stakeholder confidence and mitigates risk.